"For whosoever shall keep the whole law, and yet offend in one point, he is guilty of all." James 2:10. "Whosoever therefore shall break one of these least commandments, and shall teach men so, he shall be called the least in the kingdom of heaven." Matthew 5:19. 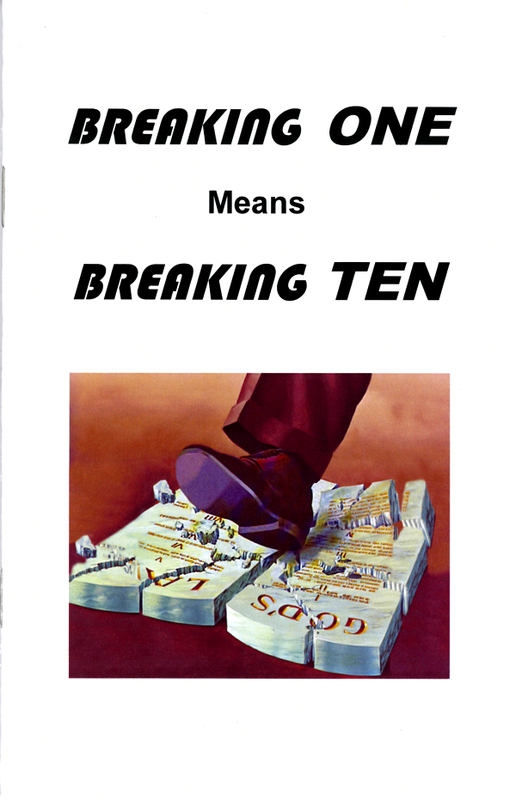 "Breaking One Means Breaking Ten" is a true dialogue between a seventh-day Sabbath keeping minister and an infidel. The pastor destroys the infidel's arguments and firmly establishes the validity of God's holy law.